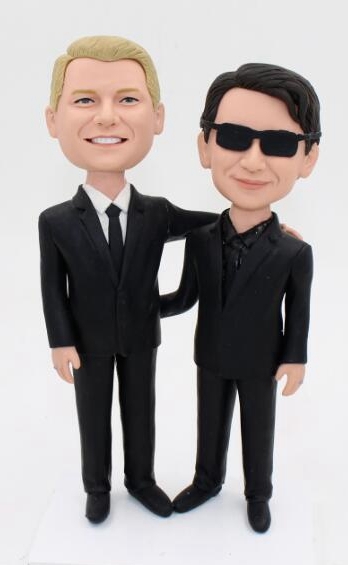 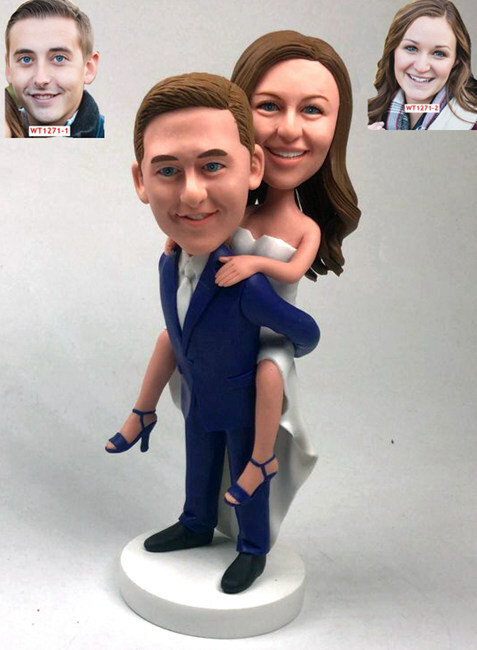 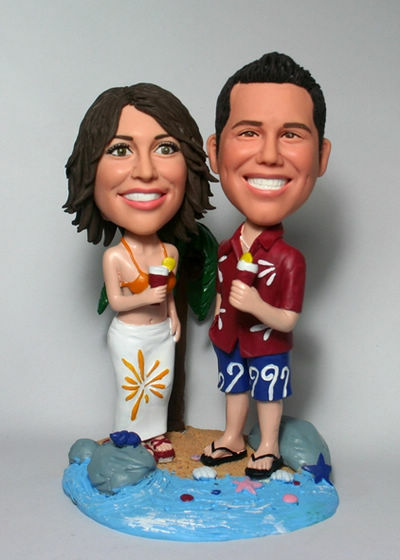 Custom wedding cake toppers look like you made from photos provided. 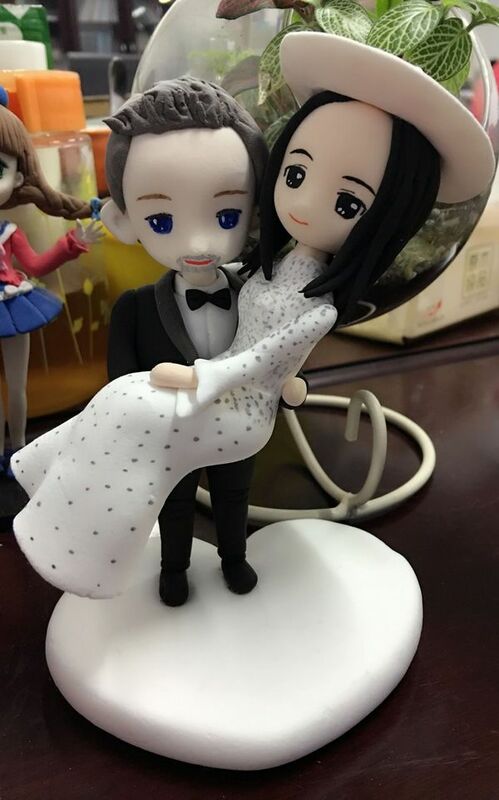 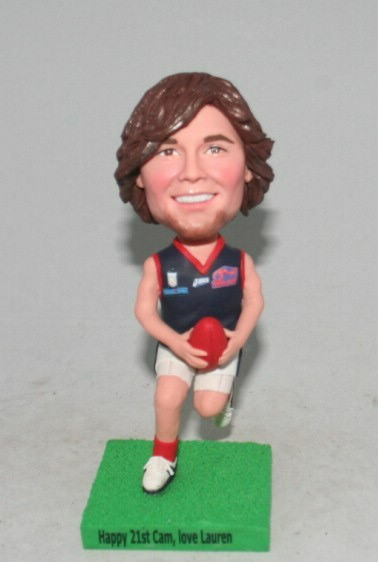 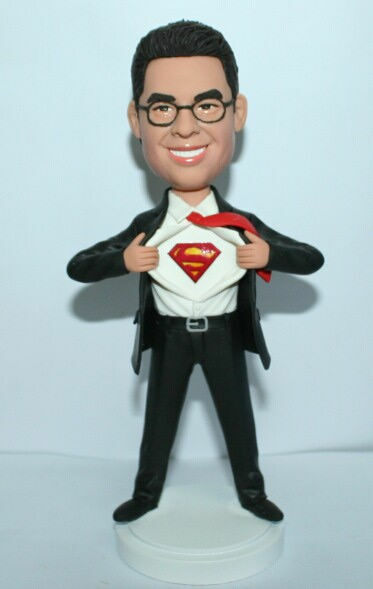 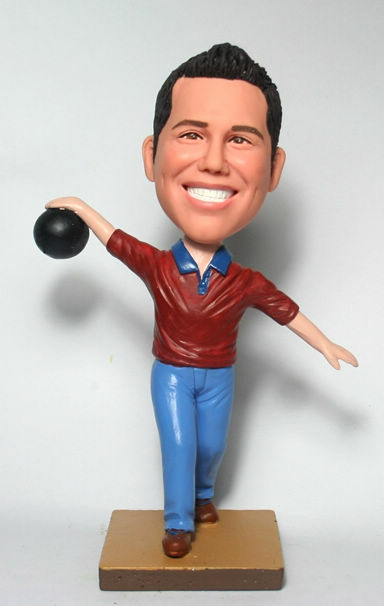 You can pick a pre-designed standard body and we will use top-class polymer clay to hand sculpt the head to resemble the photos that you provide to us. 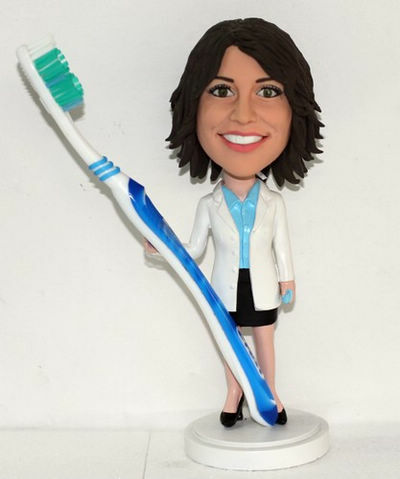 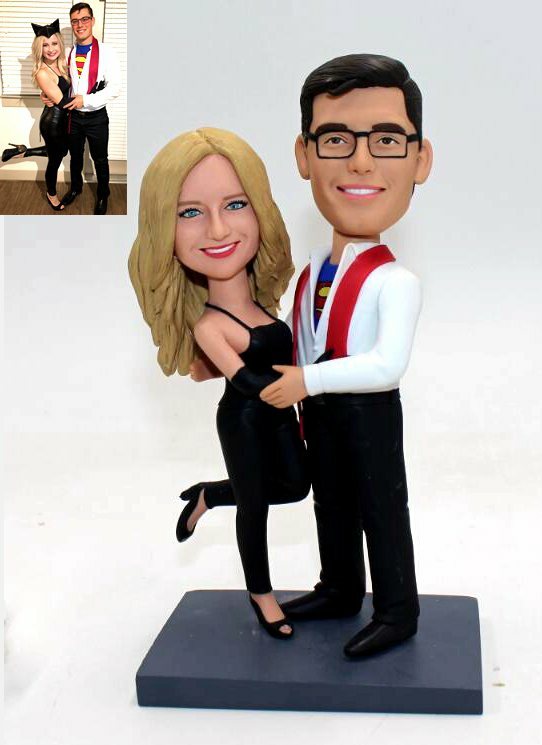 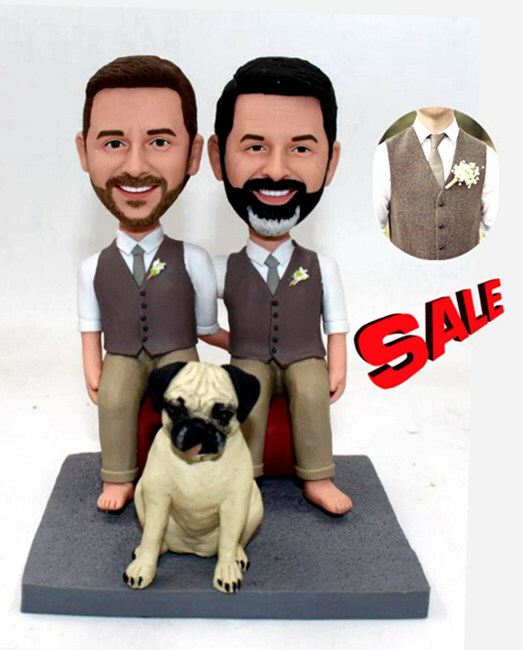 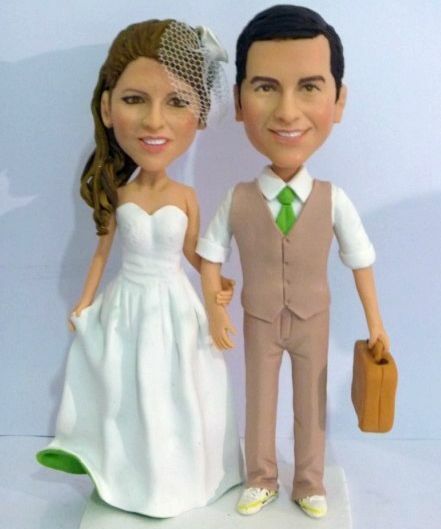 You can also choose our "head to toe customized" wedding cake toppers, so that we can head to toe fully custom made your own wedding cake toppers from photos and your own design.